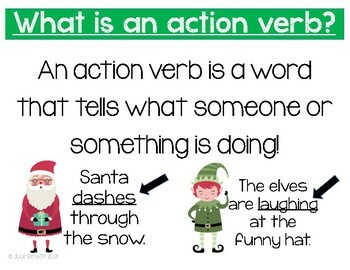 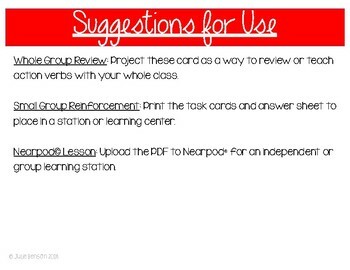 In this product, students will use a word bank to identify action verbs in a sentence. 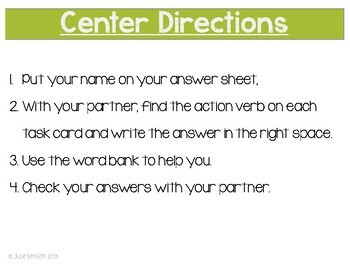 They will have 16 cards and an answer sheet to write their answers. 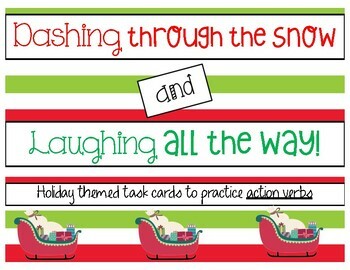 All cards have a fun Holiday (Christmas) theme!